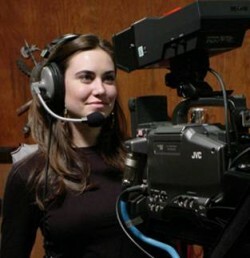 WPRNY provides quality video service to businesses in the greater New York City area. Lower costs – Since our headquarters is located just outside the city, we are able to offer lower prices than production companies that are located in New York. Achieve better quality results – Our talented staff of directors, editors, & producers provide service to CNN, Bloomberg TV, News LTD, Chiat/Day/TBWA, MetroUS, Time, AOL Broadband, Entertainment Weekly and many, many more. Get Free Video Production Consultation and a Quote Now! A top quality professional video on your web site will help. Show people what you offer. Increase the time they spend on your site. Click the image below to view an example of our work, a promotional video.